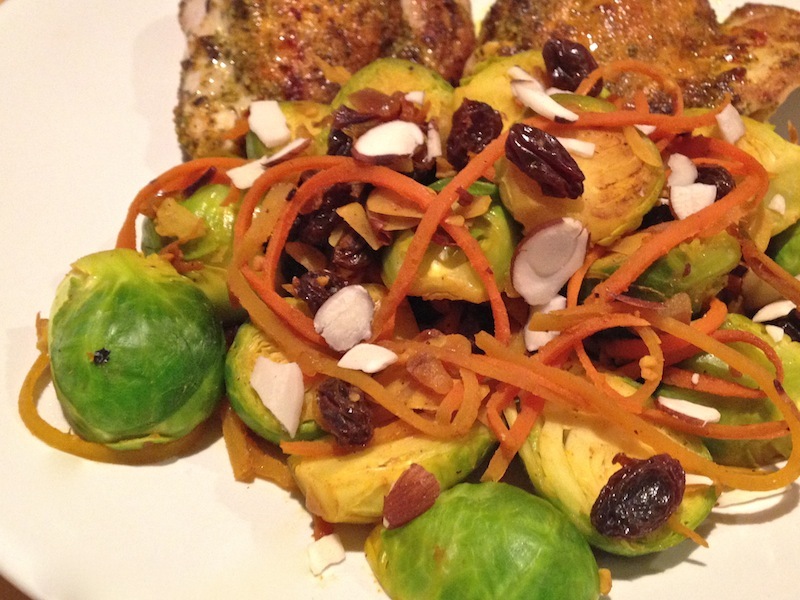 Brussels Sprouts with Carrots and Raisins | Keep It Up, David! I recently had a wonderful meal at a restaurant, including a great side dish of Brussels sprouts with grapes. It was delicious. I wanted to recreate that dish at home the other day, but I was fresh out of grapes. I did have raisins, though, and those were grapes at one point, so… close enough. 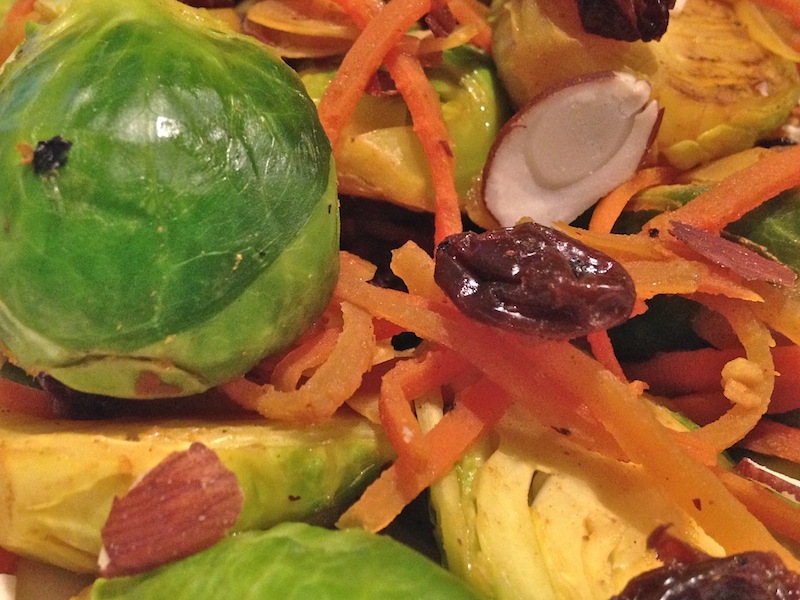 I came up with this recipe for Brussels Sprouts with Carrots and Raisins, and here’s how I made it. What do you think it began with? 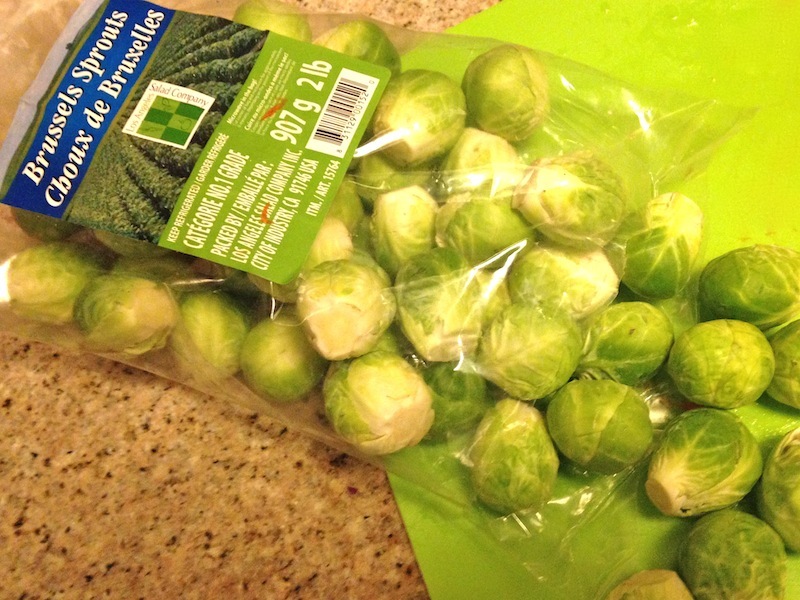 Brussels sprouts! Heat a big ol’ skillet to medium, and slick it with cooking spray. When the skillet is ready, add the garlic and onion. After a minute or two, add the Brussels sprouts. Let them cook for a few minutes. then add all the rest of the ingredients except the almonds. After 12-15 minutes, the Brussels will be cooked through, and the veggie stock will have cooked off. Toss the almonds in at the very end. RELATED CONTENT: Check Out My Recipes Page For Lots of Healthy Ideas! I also cooked a few boneless, skinless chicken thighs at the same time, in another skillet, that I had rubbed with a mix of turmeric and Mrs. 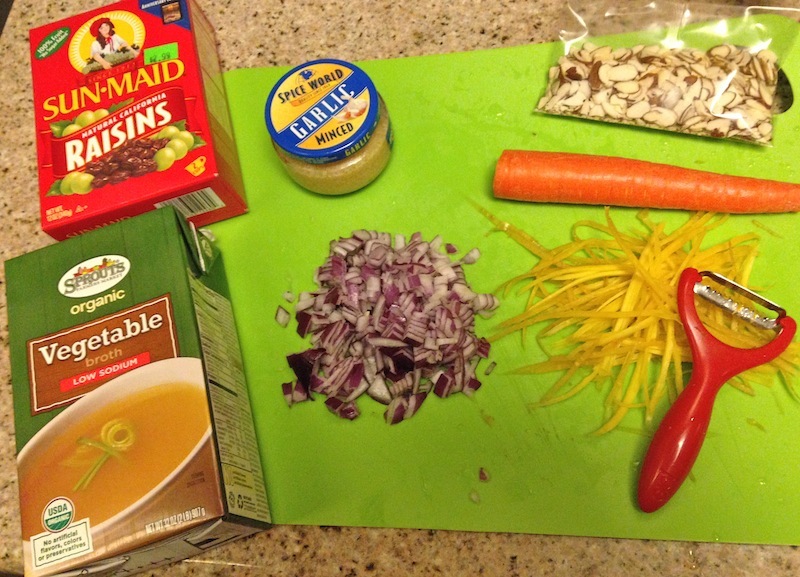 Dash Table Blend, and so my entire dinner was healthy, easy, and oh-so-very-tasty. 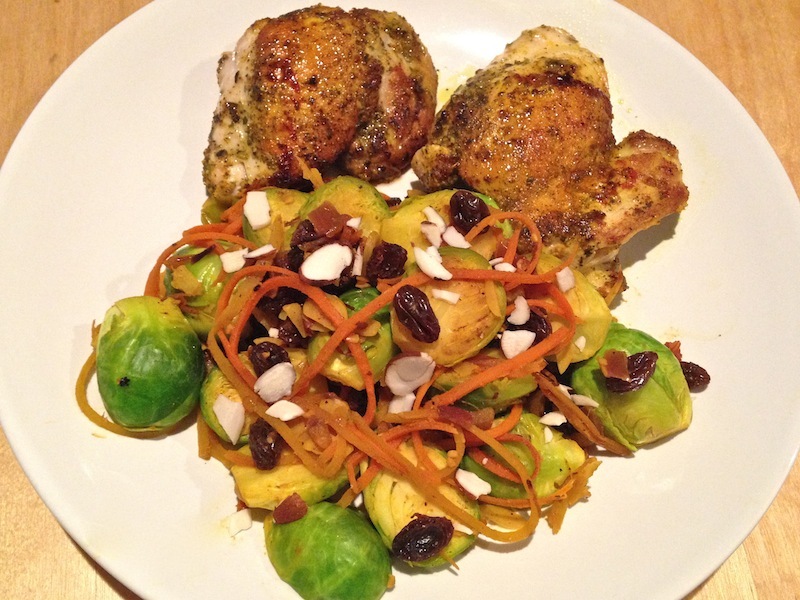 Brussels sprouts can be a little bitter, so adding carrots and raisins bumps up the sweetness. The almonds add a different texture, and the turmeric and aromatics intensify the flavor and make it more complex. Best of all, a pound of Brussels sprouts is a LOT, so I had plenty of leftovers that I enjoyed over the next couple days. This entry was posted on Thursday, April 30th, 2015 at 12:53 am and is filed under Uncategorized. You can follow any responses to this entry through the RSS 2.0 feed. You can leave a response, or trackback from your own site.